What do you eat when it’s this hot outside? Salad! This is a great meal for the current weather. 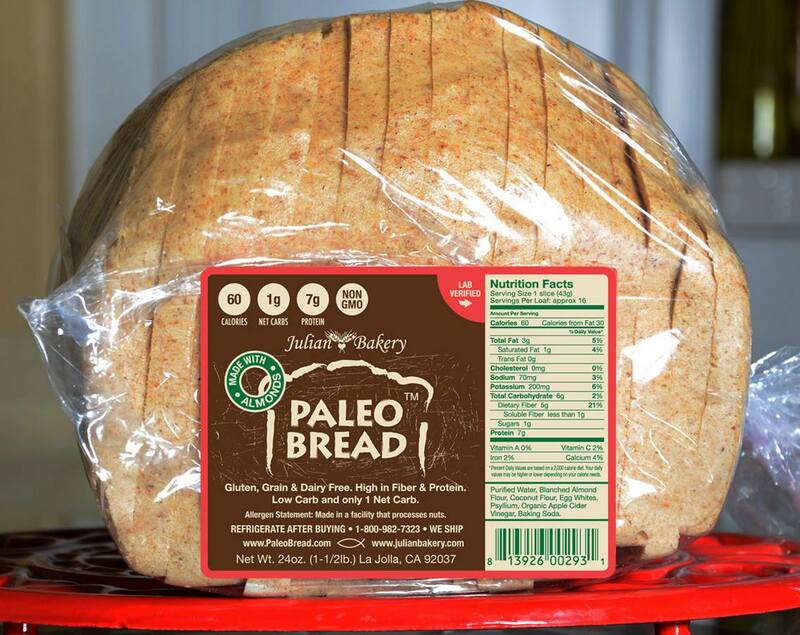 1/4 teaspoon freshly ground black pepperCut the Paleo bread into cubes and toast in the oven until browned. You can also toast the cubes in a pan in some olive oil. To make the dressing, whisk all the ingredients together. 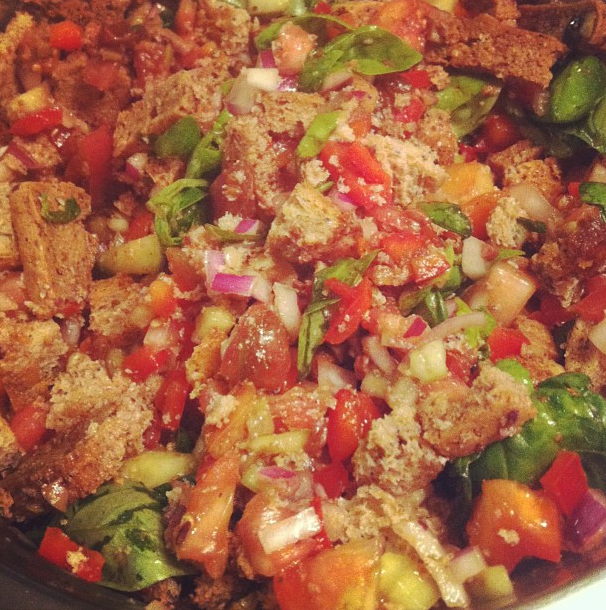 In a large bowl, mix the tomatoes, cucumber, red pepper, red onion, basil, and tapenade. Add the Paleo bread cubes and toss with the dressing. Season liberally with salt and pepper. Allow the salad to blend it’s flavors for about 30 minutes to an hour. You can find Julian Bakery on Facebook here and on twitter here. You can buy Julian Bakery Almond Bread in stores at these locations or online here. This entry was posted on July 2, 2013 by cavegrrl. It was filed under Recipes, Uncategorized and was tagged with food, heirloom tomatoes, panzanella salad, recipes, red bell peppers, summer, tomatoes, vegetarian, wine.